Sawtelle /sɔːˈtɛl/ is a district in the Westside of the city of Los Angeles, California, partially within the West Los Angeles subregion, that may refer to (1) a larger district that is part of the city of Los Angeles, (2) a smaller unincorporated area of the County of Los Angeles that by definition is not part of the municipality of Los Angeles, or (3) a combination of these, sometimes known as the Sawtelle area. The name "Sawtelle" has also been used to refer only to the Veterans Administration complex, including the modern hospital (West Los Angeles Medical Center) and north of Wilshire Boulevard, the former site of the historical Sawtelle Veterans Home and outbuildings. This area is on unincorporated land west of the Interstate 405 freeway. The entire Sawtelle area includes portions of zip codes 90049, 90064, and 90025 and all of zip code 90073 (a P.O. zip code within the 90025 area, used exclusively by the West Los Angeles Medical Center/Veterans Affairs Wadsworth Medical Hospital). The community was initially established in 1899 and named after a manager of the Pacific Land Company who initially was responsible for its development and promotion. The incorporated (i.e., municipal) area of Sawtelle, which lies to the south of the unincorporated area, includes the Sawtelle neighborhood, a 1.82-square-mile (4.7 km2) district of the city of Los Angeles. This district was once an independent municipality, but was consolidated with Los Angeles in 1922. The area extends about 1.0 mi (1.6 km) to either side of Santa Monica Boulevard, running westward about 1.3 miles (2.1 km) from the California Interstate 405 freeway (San Diego Freeway) and Sawtelle Boulevard, toward the city of Santa Monica. Within this incorporated (city) district lies a Japanese American community and business district along Sawtelle Boulevard, as well as the Japanese Institute of Sawtelle. The city put community signs Sawtelle Japantown for this area on April 1, 2015. The smaller unincorporated (nonmunicipal) area of Sawtelle, about half the area of the incorporated area, consists of 576.5 acres, or 0.90 sq mi (2.3 km2), and it is completely surrounded by the city of Los Angeles. On the south, the unincorporated area abuts the Sawtelle city district that is now a part of West Los Angeles and the greater city of Los Angeles. On the north, it is bordered by Brentwood and Westwood. This unincorporated area consists of six parcels near the intersection of the San Diego Freeway and Santa Monica Boulevard, owned either by the US government or the state of California. A private utility company owns the seventh parcel. This area is under the zoning and governmental control of the Los Angeles County Board of Supervisors within the Third Supervisorial District. This unincorporated area contains the Wilshire Federal Building, the Los Angeles National Cemetery for veterans, the Wadsworth VA Hospital/West Los Angeles Medical Center, the site of a former major veterans home, and many smaller federal office buildings. In 1896, the Pacific Land Company purchased a 225-acre (0.91 km2) tract, which lay just south of the veterans home, and hired S. H. Taft to develop a new town named Barrett, after Andrew W. Barrett, local manager of the veterans home. When the Pacific Land Company attempted to secure a post office for the new town, the postal authorities objected to the name "Barrett" on account of its similarity to Bassett, California. In 1899, the name of the town was formally changed to Sawtelle (for W. E. Sawtelle, who succeeded Taft as manager of the Pacific Land Company). The Pacific Branch of the National Home for Disabled Volunteer Soldiers served as an attraction for both tourists and local real estate speculators. In 1904, the Pacific Branch became a stop on the Los Angeles Pacific Railroad's “Balloon Route”, a popular tour of local attractions conducted by an entrepreneur who escorted tourists via a rented streetcar, often from downtown Los Angeles to the ocean and back. In 1905, residential lots and larger tracts in the new Westgate Subdivision, which joined “the beautiful Soldier’s Home”, and which were owned and promoted by Jones and Baker’s Santa Monica Land and Water Company, were for sale. The new community of Sawtelle developed around the Pacific Branch when veterans’ families, as well as veterans themselves who were drawing relief, settled there. Most of Sawtelle thus grew up after the veterans home was established. In 1918, the voters of Sawtelle decided by a margin of three votes to merge their city with Los Angeles. The vote was 519-516. However, the Board of Trustees, equivalent to a city council, refused to accept the decision and "ordered a challenge in the courts." The city of Los Angeles, however, did not wait for a court decision but instead "rounded up a squad of policemen and 'swooped' down upon the Sawtelle City Hall, as one account put it at the time." Sawtelle city officials were locked out of the City Hall, and the city of Los Angeles took over all the municipal and school activities. In the meantime, the ousted Sawtelle trustees continued their case in the courts, and on September 15, 1921, the California Supreme Court decided the consolidation had indeed been illegal because the voters "had not been told on their ballots that they would have to pay a proportionate share of all Los Angeles debts for bonds." "Thirty-two days later the city of Los Angeles moved out of Sawtelle as quickly as it had moved in. Nine policemen packed up the records and left; eight firemen abandoned the fire engine and reported for work elsewhere." The city of Sawtelle was back in operation. In 1922, another election was held, and once again Sawtelle voters decided to join Los Angeles. This time the merger was permanent, and the municipal district or neighborhood of Sawtelle was created. Sawtelle was the fourth city to be merged with Los Angeles, after Wilmington and San Pedro in 1909 and Hollywood in 1910. A northern residuum of the Sawtelle area, containing federal lands that were the site of the Soldier's Home, as well as the Veteran's Administration hospital, cemetery and federal office buildings, remains unincorporated. It is not part of Los Angeles City, but is administered by the Los Angeles County Board of Supervisors within the Third Supervisorial District of this county. This larger 1.82-square-mile (4.7 km2) area is roughly bounded by the Interstate 405 freeway to the east, National Boulevard to the south, Centinela Avenue to the west, and on the north, by Bringham Avenue, San Vicente Blvd, and the grounds of the V.A. Greater Los Angeles Health Center in the unincorporated area. Because the incorporated Sawtelle area now represents the northern part of the West Los Angeles area, it is bounded on the north by the areas of Brentwood and Westwood that bound West Los Angeles. To the south is the remaining part of West Los Angeles which is not considered to be a part of the Sawtelle district. The incorporated Sawtelle district extends about 1.0-mile (1.6 km) to either side of Santa Monica Boulevard, as it runs westward about 1.3-mile (2.1 km) from the Interstate 405 freeway and Sawtelle Boulevard, toward Santa Monica city, ending at Centinela Avenue. Within the incorporated (city) district lies a Japanese American community along Sawtelle Boulevard, between Santa Monica and Olympic Boulevards. It includes Japanese-oriented markets and restaurants, several plant nurseries, karaoke bars and shops. These are remnants of a larger Japanese-American business presence in the area before World War II, when many of these shops were closed and the residents caught up in the Japanese-American internment. On Sawtelle Boulevard, at the southern edge of the Sawtelle area, is the Japanese Institute of Sawtelle, a cultural center for the Nikkei community of West Los Angeles. The Sawtelle area is within the University High School attendance district. Asahi Gakuen, a weekend Japanese supplementary school system, operates its Santa Monica campus (サンタモニカ校･高等部 Santamonika-kō kōtōbu) at Daniel Webster Middle in Sawtelle. At one time all high school classes in the Asahi Gakuen system were held at the Santa Monica campus. As of 1986 students took buses from as far away as Orange County to go to the high school classes of the Santa Monica campus. As of 2018[update] three campuses (Santa Monica, Orange, and Torrance) have high school classes. In 2009, the Los Angeles Times's "Mapping L.A." project supplied these Sawtelle neighborhood statistics: population: 35,844; median household income: $57,710. There exists some gang activity within the area, although it has decreased considerably over the past decade. The Sotel 13 gang has claimed Stoner Park and its surrounding community as its territory since the 1950s, and gang graffiti can still be found throughout the neighborhood. The area is now served by buses of the Los Angeles Metropolitan Transit Authority, but as with a great deal of the Westside the lion's share of bus service is provided by the Santa Monica Big Blue Bus and the green coaches of the Culver CityBus system. The Sawtelle neighborhood is served by the Bundy Station on the Expo Line. The LA Metro Purple Line phase three is currently being extended from Koreatowns Wilshire/Western station to the West Los Angeles VA Medical Center. The Subway station will be located east of the corner of San Vicente Boulevard and Wilshire Boulevard. The Sawtelle unincorporated area in the County of Los Angeles is composed of seven parcels. These include the Veterans Administration and other federal buildings. This territory consists of six parcels owned either by the U.S. government or the state of California. A private utility company owns the seventh parcel. It is under the zoning and governmental control of the Los Angeles County Board of Supervisors within the Third Supervisorial District. The unincorporated area is completely surrounded by the city of Los Angeles. It is bordered by the Los Angeles communities of West Los Angeles to the south, Brentwood to the northwest, and Westwood on the northeast. According to 2005 estimates by Los Angeles County government, the population of the unincorporated area of Sawtelle is 634. West Los Angeles [VA] Medical Center, 11301 Wilshire Blvd., built in the unincorporated Sawtelle area in 1977. Previously called VA Wadsworth. The grounds of the former Veterans Home, which was established in 1888, along with a cemetery and hospital for former soldiers and sailors, is also referred to as Sawtelle. This area, containing former hospital and apartment buildings and the historical veteran's home, and now converted to research and office space, is mostly north of Wilshire Boulevard. Since 1977, this area has formally included the Veterans Affairs (VA) Wadsworth Medical Center (now the West Los Angeles VA Medical Center), which is south of Wilshire Boulevard from the former veteran's home site (see illustration above). This major hospital serves as part of the VA Greater Los Angeles Healthcare System. The veterans home and hospital areas are both located west of the modern Interstate 405 freeway (San Diego Freeway), which bisects this federal parcel of land. It was part of a controversial plan in the 1960s, in which the property was proposed to be exchanged for Hazard Park in Boyle Heights, which would become home to a new VA hospital. The plan was shelved after seven years because of heavy public opposition., and instead, the present West Los Angeles Medical Center was built as the new hospital, in 1977. The Wilshire Federal Building in unincorporated Sawtelle, California at 11000 Wilshire Boulevard. The building is often mistakenly assumed to be in Westwood, but it sits just outside City of Los Angeles territory. The Los Angeles National Cemetery, which is located east of Interstate 405, between Sepulveda Boulevard and Veteran Avenue, contains the remains of some 85,000 veterans and family members from the Mexican War to the present. The Wilshire Federal Building (photo at right, description below) is also east of the 405 freeway, immediately south of Wilshire Boulevard and the cemetery. 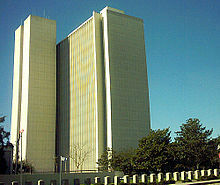 A major stand-alone federal office building in the area is the 19-story Wilshire Federal Building (completed 1969) at 11000 Wilshire Blvd, Westwood, Los Angeles. The federal building is the most prominent symbol of federal power in the Los Angeles area, and is thus a popular site for protests against government policies. It includes the Federal Bureau of Investigation (FBI) Los Angeles field office. From the 1980 U.S. Census to the 1990 U.S. Census an increase in construction caused the population to increase by 6.7%; the addition of 692 dwelling units increased the units in Sawtelle by 10.6%. The 1990 census stated that there were 14,042 residents in Sawtelle. There was no racial majority at that time. Barbara Koh of the Los Angeles Times stated that "The racial percentages in Sawtelle in the 1990 Census were virtually unchanged from 1980". In 1990, 48% of the residents were Anglo White, 26% were Latino or Hispanic, 23% were Asian, and 3% were Black. Neal Stephenson's science fiction novel Snow Crash coins the name "Fedland" for the unincorporated Sawtelle area, because in the novel it is one of the few bits of land still under the direct control of the United States government (the rest of the city having been taken over by corporations). ^ Loomis, Jan (2008). Brentwood. Arcadia Publishing. ISBN 0-7385-5621-1. ^ "学園概要." Asahi Gakuen. Retrieved on March 3, 2018. "高等部（サンタモニカ校、トーランス校、オレンジ校）"
^ Romero, James. "Gangster's Paradise Lost." (Archive) Los Angeles City Beat, November 6, 2003. Retrieved on May 11, 2013. ^ Romero, Dennis. "David Morales: Sawtelle Shooting Takes Life, Injures Another in West L.A." (Archive) LAWeekly. Wednesday January 4, 2012. Retrieved on May 11, 2013. ^ "Los Angeles County, unincorporated population estimates (2005)" (PDF). Archived from the original (PDF) on 2011-07-21. Retrieved 2009-06-23. ^ "Victory for Save Hazard Park Assn". Los Angeles Times. 5 September 1969. p. C6. ^ "Hazard Park Swap Foes Stage Protest". Los Angeles Times. 6 March 1967. p. E7. ^ "Los Angeles Division." Federal Bureau of Investigation. Retrieved on June 9, 2015. "11000 Wilshire Boulevard Suite 1700 Los Angeles, CA 90024"
^ a b Koh, Barbara. "Home-Grown : Development: Old-timers lament as nurseries and duplexes give way to pricey condos, making the ethnic neighborhood into just another part of West L.A." Los Angeles Times. July 7, 1991. p. 1. Retrieved on March 27, 2014. Wikimedia Commons has media related to Sawtelle, Los Angeles.